Fish politics are at fever pitch this summer, thanks to weak early salmon returns and a proposed ballot measure pending before our state's highest court that could hobble Alaska's resource economy. Ballot Measure 1 seeks to change the way the Alaska Department of Fish and Game reviews permits for construction projects near salmon habitat. Proponents of "Stand for Salmon" claim the ballot measure will protect salmon, but the proposal would have far-reaching consequences for the economy, well beyond commercial and sport fishing. As written, Ballot Measure 1 would change the section of state law dedicated to protecting fish habitat, known as Title 16, by creating new water-quality requirements to protect fish habitat from "significant adverse effects." The ballot language is problematic for at least two reasons. First, it ties the hands of state officials, requiring them to reject most, if not all, economic development projects near fish habitat. Second, its vagueness leaves it open to interpretation by the courts, making any decision by habitat managers vulnerable to litigation. Under these new rules, the cost of building in Alaska, which is already among the highest in the nation, would increase as the permitting process for projects becomes costlier, more cumbersome and subject to more legal challenges. Some vital projects will be canceled and Alaska will lose important investment dollars. Ballot Measure 1 will increase uncertainties, delays and costs for a wide range of economic activities, including community and resource development, without providing commensurate environmental benefits or improving salmon runs. The ballot measure would make it much more difficult to permit development of roads, wastewater treatment plants, dams, ports and other vital infrastructure. It would price many projects out of the market, especially in rural areas. The result will be fewer jobs, less revenue for local and state governments and fewer opportunities for Alaskans. The Department of Law determined that the ballot question violated Alaska's constitutional ban on allocating resources by citizen initiative – that it would require state managers to prioritize salmon habitat above all other uses for state waters. Only the Legislature, elected by the residents of Alaska, has the authority to make that decision. The state has asked the Supreme Court to decide by Sept. 5 whether the initiative language is constitutional. If the court decides it is, Alaskans will have an important choice when they step into the voting booth in November. 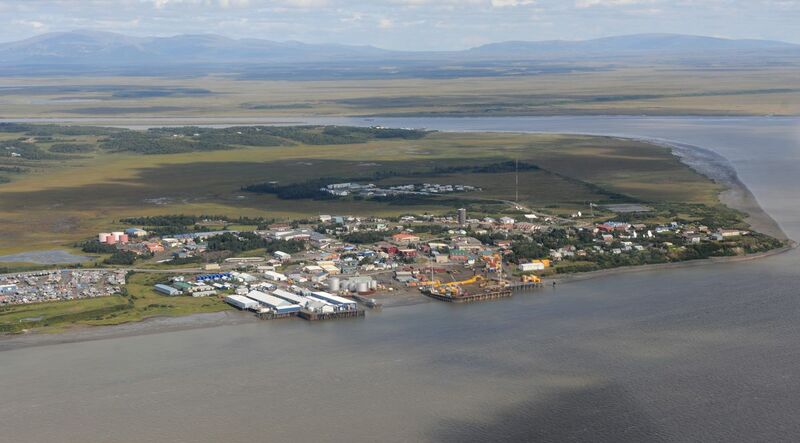 Backers of "Stand for Salmon" see the initiative as the best way to stop the Pebble Mine, and as a possible tool for stopping the Chuitna coal mine and hydroelectric public power projects as well. But the changes it proposes would have negative consequences far beyond any single project. Despite claims the initiative seeks to protect salmon, it covers 19 different species of fish that migrate between fresh and salt water. There's no evidence this year's weak fish runs are related to development near salmon streams. So far, most blame the giant "blob" of unusually warm water in the Pacific Ocean, while others blame over-competition from hatchery fish. But all experts seem to agree the problem doesn't originate on land. If salmon truly need more protection, advocates should use the legislative process to ensure full transparency and opportunity for public comment. Legislators hearing a bill containing some of the ballot initiatives provisions suggested changes to address concerns about its potential economic harm. But the ballot initiative process does not allow for changes. Voters must take it or leave it. We should be wary about the unintended consequence of an Outside-funded ballot measure that could have significant negative impacts for industries that make up a third of our economy. We shouldn't tie the hands of Alaska's resource managers responsible for balancing the dual goals of economic development and conservation. Alaskans have long prospered under our balanced approach to development and conservation. There's no reason that balance cannot continue as Alaska's leaders seek to dig out of one of the worst economic recessions in the state's history. Alaskans should come together to support sensible, science-based habitat protection, sustainable management practices and responsible economic development. As we struggle with a recession and high unemployment, we can't afford to let Outside activists pit one Alaska resource user group against another. I strongly support protecting our common salmon resources, but the Stand for Salmon initiative goes too far. Alaskans are capable of managing our own resources to benefit all residents, today and tomorrow. We've been doing it right for more than a half-century, and there's no reason to change what's been working so well. Rep. Dan Saddler, R-Eagle River, has represented Chugiak-Eagle River and Joint Base Elmendorf-Richardson for eight years. He is running in the Republican primary to represent Senate District G.